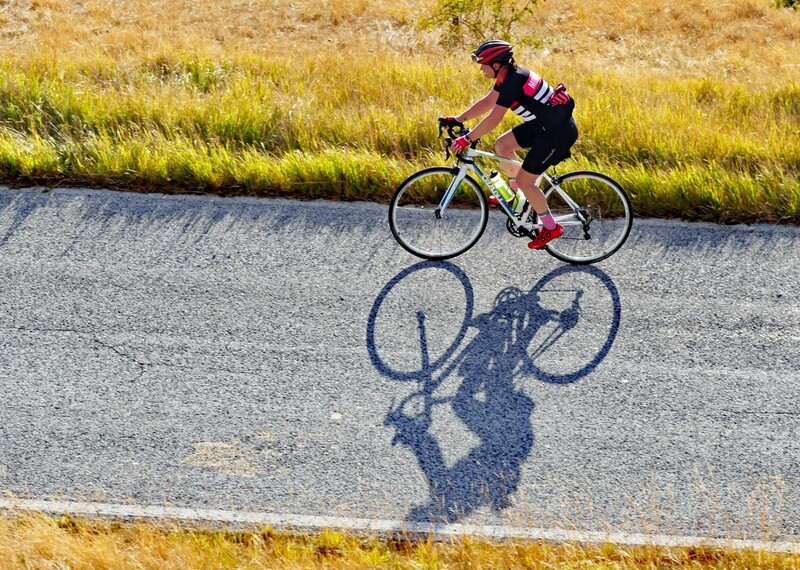 Cycling to the most southerly point of Italy, having ridden nearly 1,100 miles and climbed over 21,000 metres! 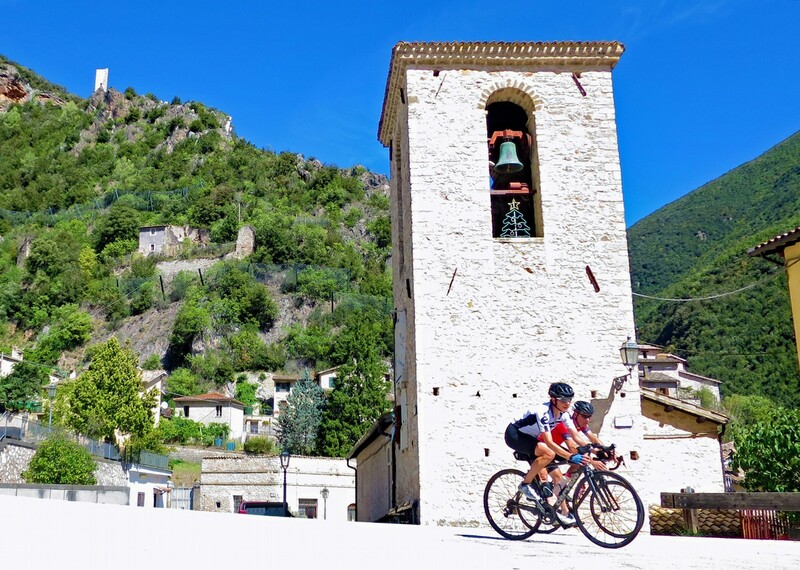 What better location to start your cycling journey through Italy than the magical Cinque Terre - this stunning region famed for its dramatic landscape and villages perched on the side of the coastal cliffs. 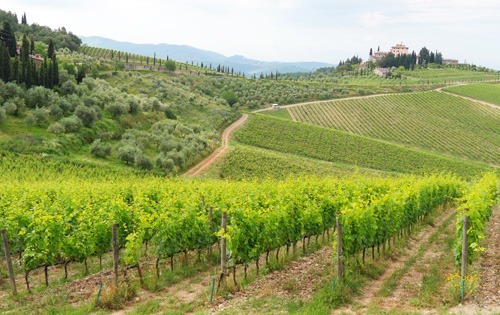 A true taster of what is to come; stunning scenery and full immersion into Italian culture. It's not long though before it's time to say farewell to the Tyrrhenian Sea to head south west towards the southern end of the Tuscan Apennines, famous for the Carrara marble. 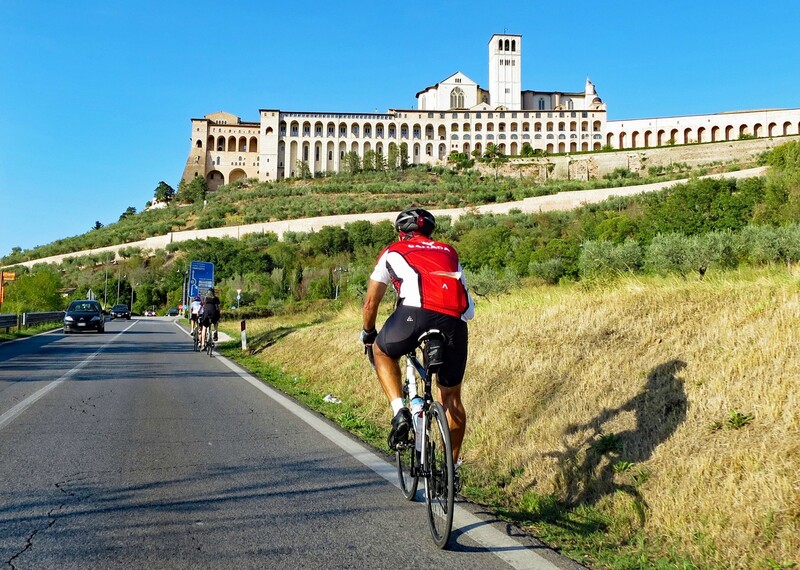 Riding through nature reserves and small Italian villages and towns this is a great introduction to northern Italy. 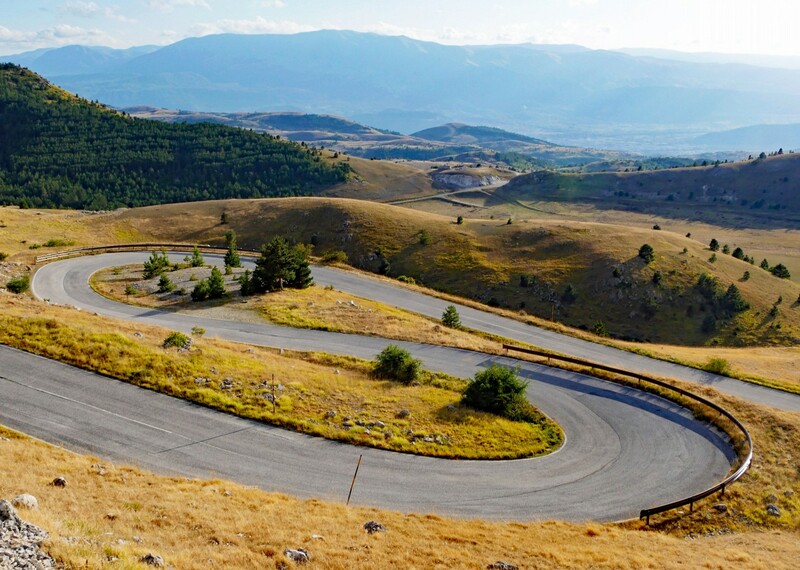 Taking quiet roads and small mountain passes, we cross into Tuscany and from beautiful Lucca we carry on south through the green hills of Chianti, onto the rolling clay and chalk landscapes of the Crete Senesi and the UNESCO site of Val d'Orcia. 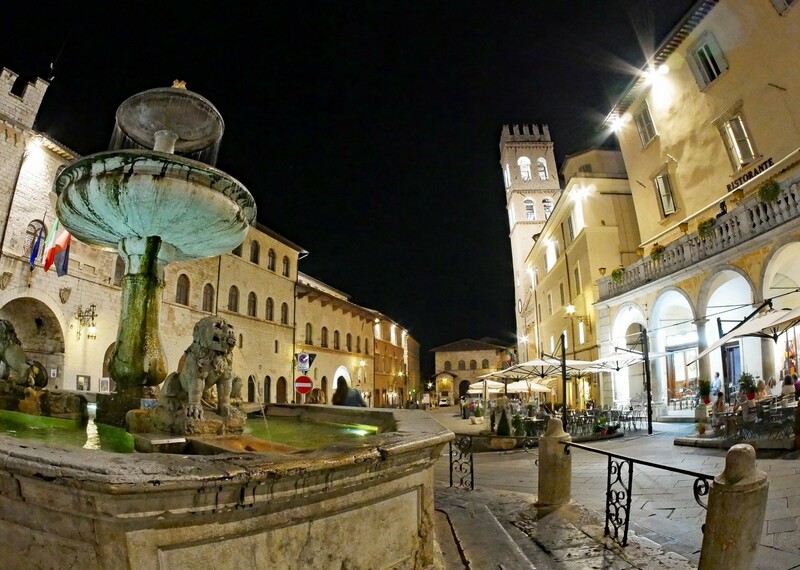 Here we start picking up momentum as we head into the Apennines again, exploring Umbria; a land of small and beautiful medieval villages perched on limestone hills. 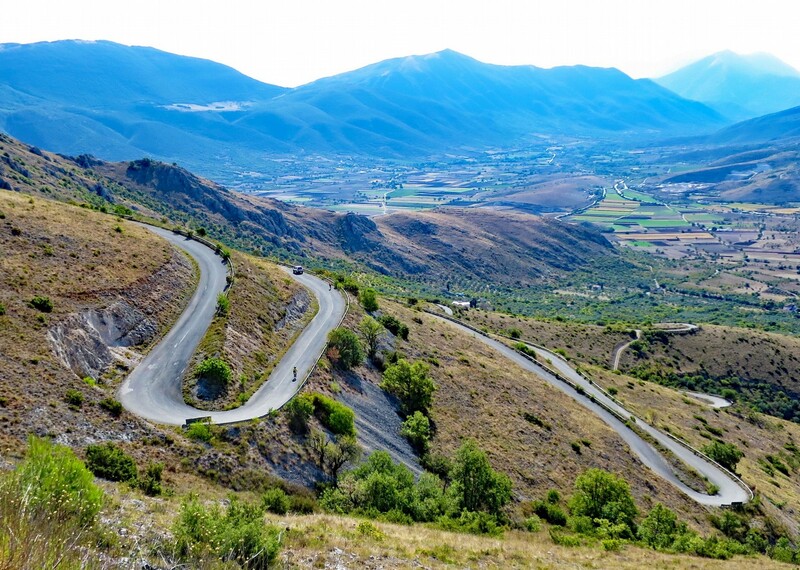 Following the Apennine range south, we ride through a part of Italy that is truly authentic with few visitors, so has kept its genuine character and natural beauty. 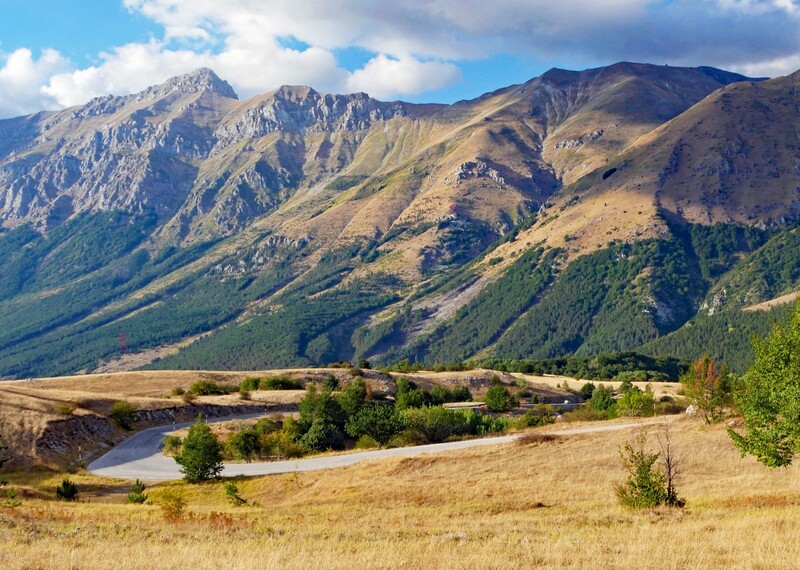 Riding through the regions of Abruzzi and Molise, we go from one National Park to another; the Park of Gran Sasso, Majella Park and the Park of Matese. 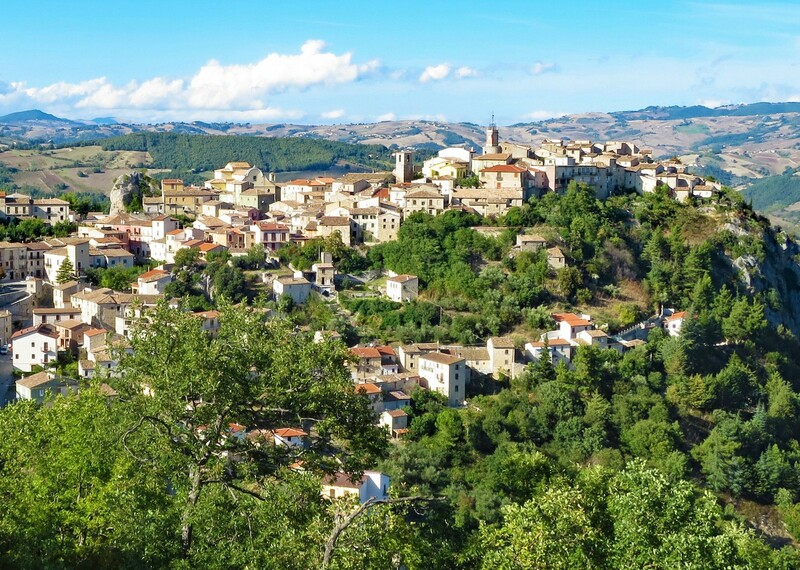 From the Apennines we head next towards the Adriatic coast, then south towards the Gargano region of Puglia (the heel of Italy) through the soft clay hills and sunflower fields of Molise. 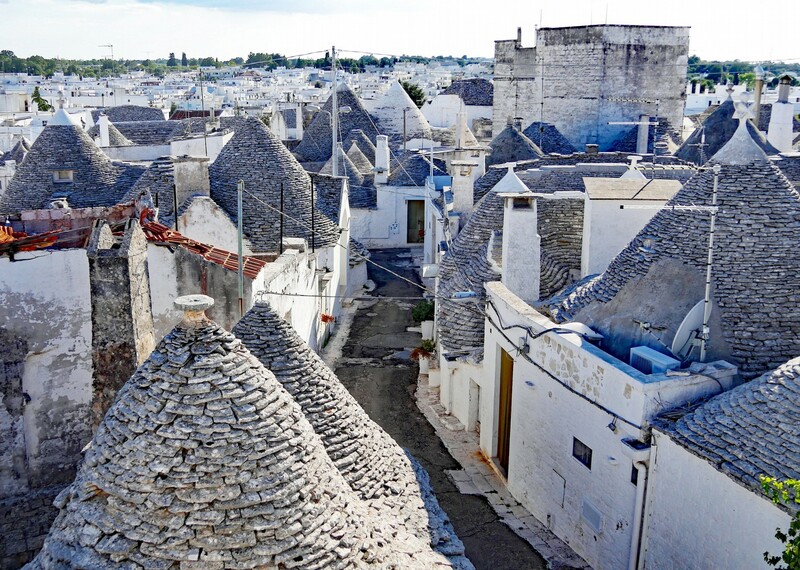 More surprises are in store for us as we enter Puglia, riding through small towns of picturesque Baroque architecture and indulging in its renowned regional cuisine. Our journey is coming to an end as we follow the coast on the heel of Italy, enchanted by the crystal clear waters of the Strait of Otranto, finally reaching the very end of Italy. 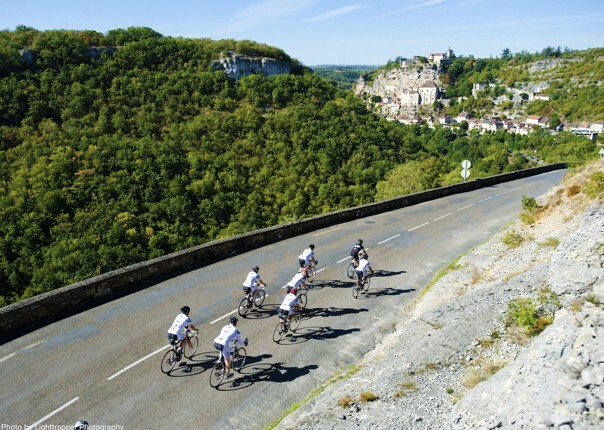 Throughout the trip we will have the opportunity to visit and ride through several World Heritage sites recognised by UNESCO: Cinque Terre, the historic centre of Lucca, the historical centre of Siena, Val d'Orcia, the historical centre of Pienza, the castle of Frederick II of Swabia in Andria (Castel del Monte), the Sassi, the Park of the Rock Churches of Matera and the trulli of Alberobello. 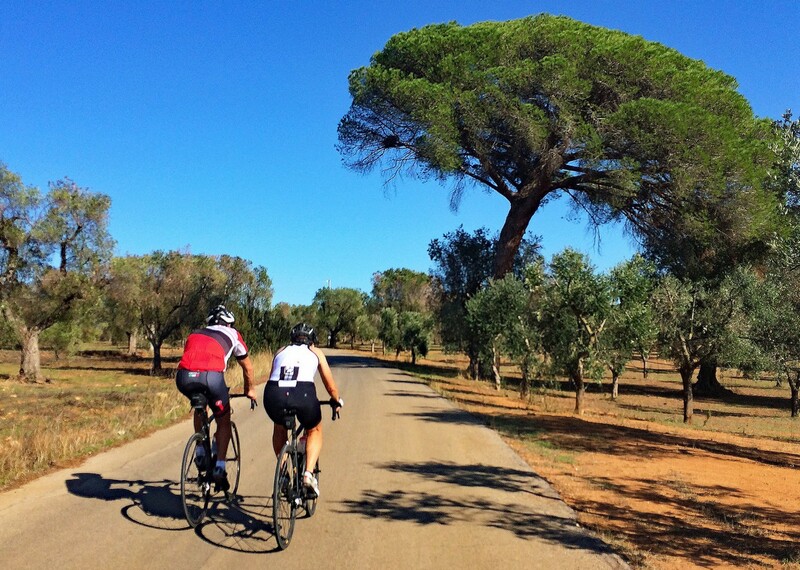 With a combination of superb riding, incredible scenery, fantastic Italian food and wine and plenty of opportunity to experience La Dolce Vita; the good life, cycling in Italy on this trip could well be the perfect way to experience the best that this incredible country has to offer. If someone was going to do just one of Skedaddle's trips, it should be this one! All essential info was sent by Saddle Skedaddle just before the ride which was excellent (and appreciated). If someone was going to do just one of Skedaddle’s trips, it should be this one. 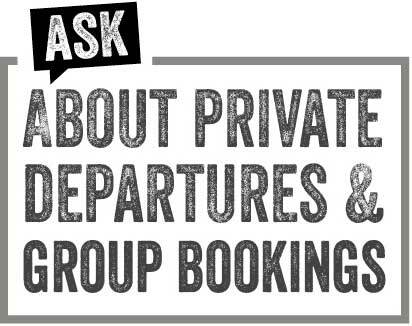 Our questions were always answered and any additional info was supplied. Loved each day for different reasons and the leader and her crew changed stuff around to suit our needs. This trip had something for everybody, the crew were fantastic and they were a vital part of it working, the rest was just the magic of Italy. Great Ride! Fantastic guides, awesome routes. All of the days in the Appenines were great – the right balance between challenging, rewarding and doable at this grade of holiday. 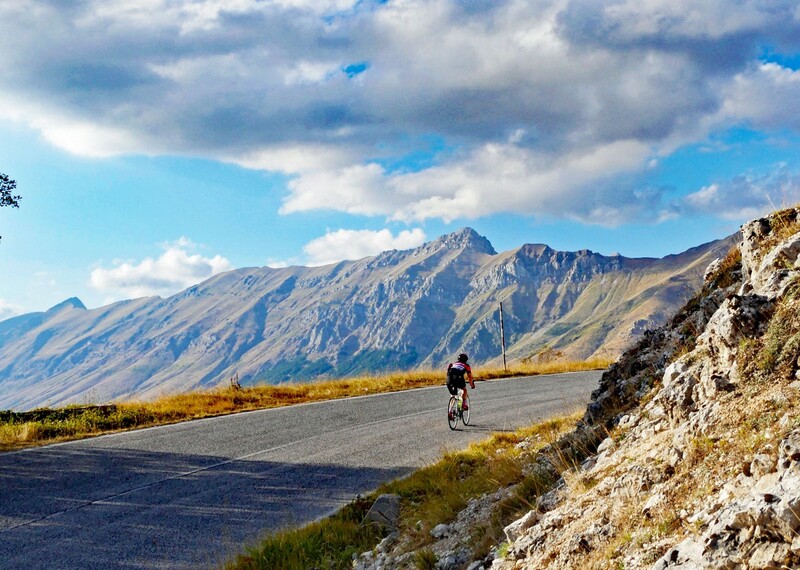 The Sibillini route up Monte Prata across Castellucio and descent to Arquata, Gran Sasso and Majella are superb routes and some of the best routes and descents I have seen (and that includes St Malo Nice, Colombia and Grand Tour of the Med by comparison). 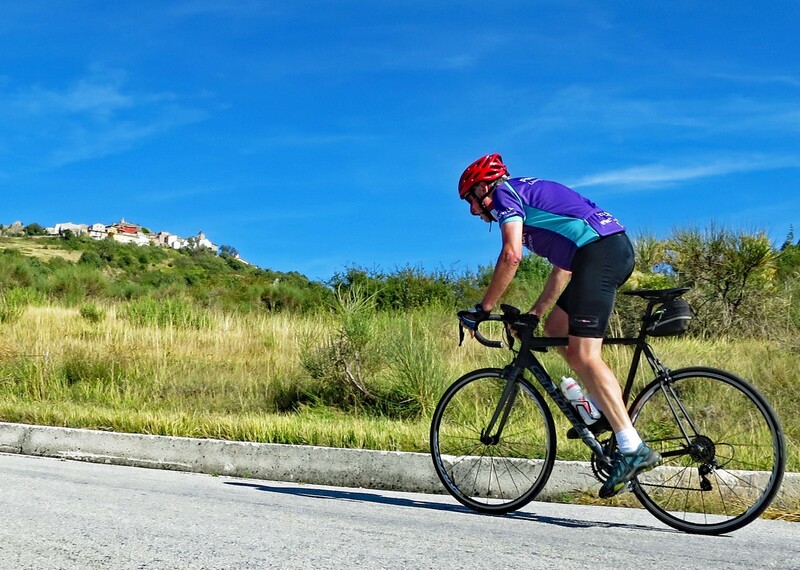 Monte San Angelo is a spectacular climb and descent. 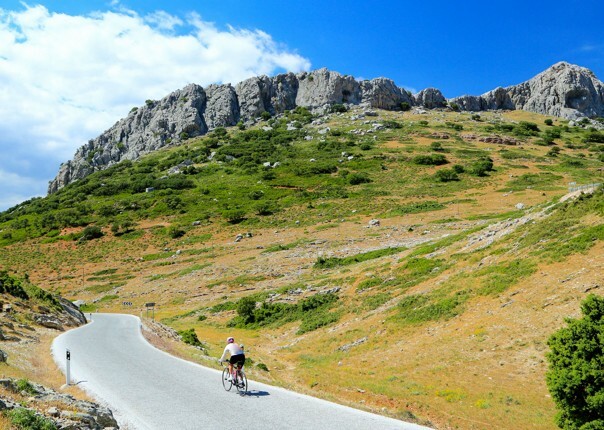 South Italy includes some amazing and scenic cities along the route. How can I fault Skedaddle picnics? 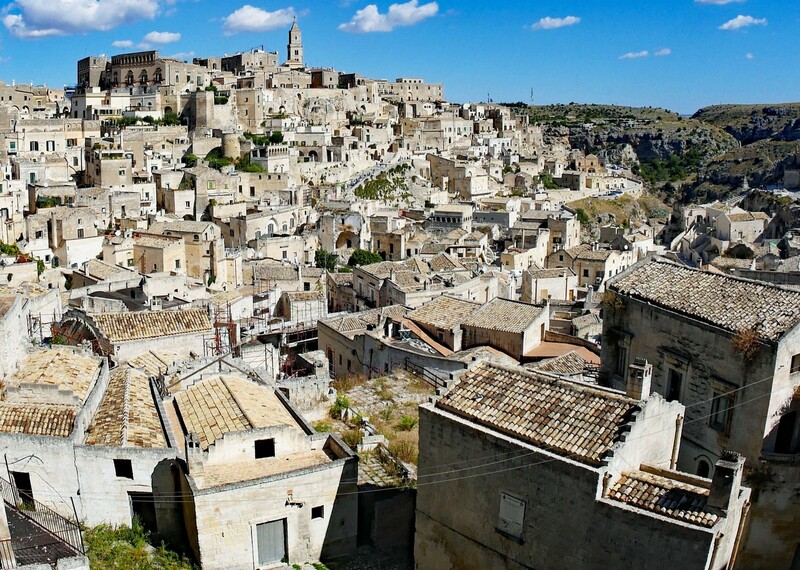 Italian food and restaurants a massive step above any others highlights were the Tre Archi Di Castoro Guisep in Altamura, the ‘food challenge’ in Osteria Del Castello in Arquata and Residence Il Palazzo (Santo Stefano) but pretty much all the others hard to fault! Massimo is a great tour leader, and was well supported by Tim and Guiseppe. Really knew the area and route well, loves the job and you could see a lot of preparation had gone in to this. Not a chance of keeping up with him on any race up the climbs either!! We have mourned the end of this wonderful trip. 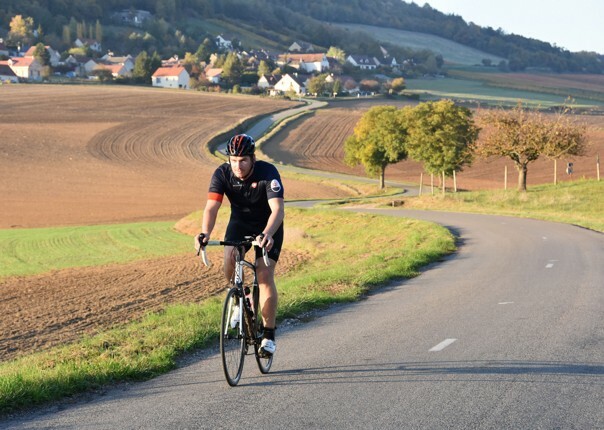 Excellent routes, fantastic cycling, perfect organisation, lovely companions, great food …. But it was the icecream which clinched it!! Keep up the good work. You cleared our stressy heads and toned up our tired bodies, made us laugh (some hills made us cry!) 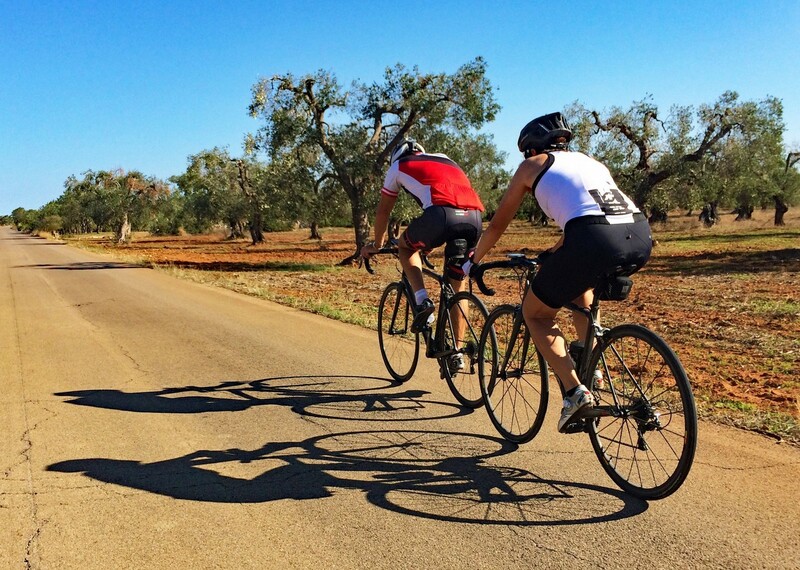 and took us out of ourselves – basically looking after our every need and ‘parenting’ us – but allowing us freedom to just do what we love – pedal our tandem in glorious surroundings. Thank you so much. Every day was so different. It’s hard to give a favourite. 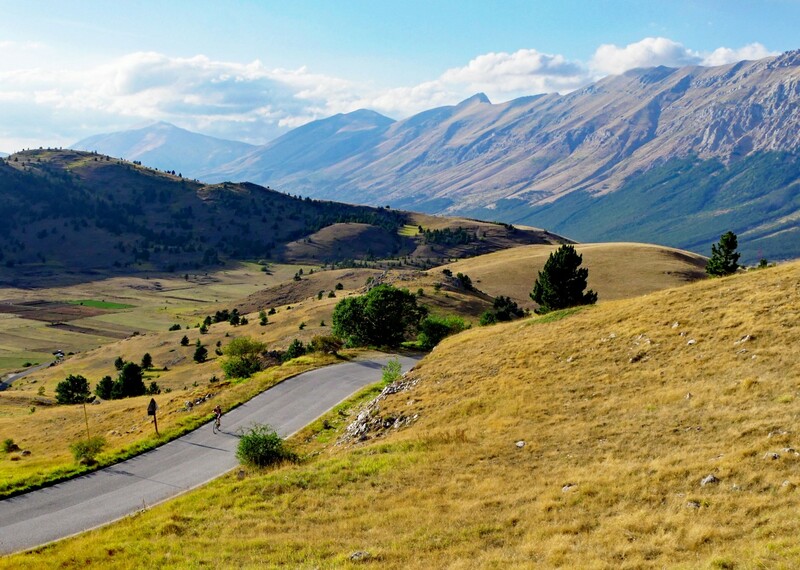 The Apennines were overwhelmingly beautiful and we enjoyed the satisfaction of making the climbs. But, in honesty, every day was joyful. Massimo was excellent and his choice of route from Venice to St Maria de Leuca was first class. A lovely mix of quiet roads and some very nice cycle tracks. Our 3 other guides did a great job. 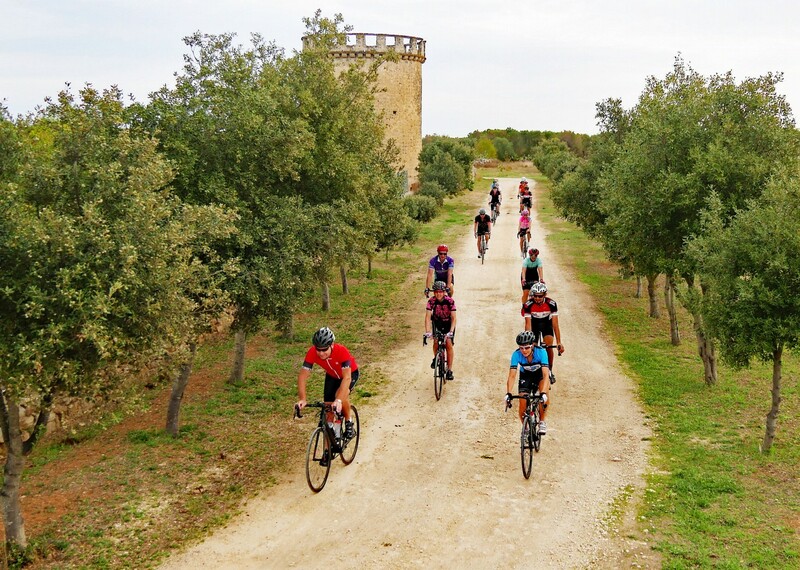 Favourite days were Vieste to Manfredonia through the Gargano National Park where I was able to enjoy the wonderful scenery, and the mountain days in the Appenines – stunning scenery and beautiful autumn colours.